Rabbi Dr Thomas Salamon shares a story from the Jewish tradition. 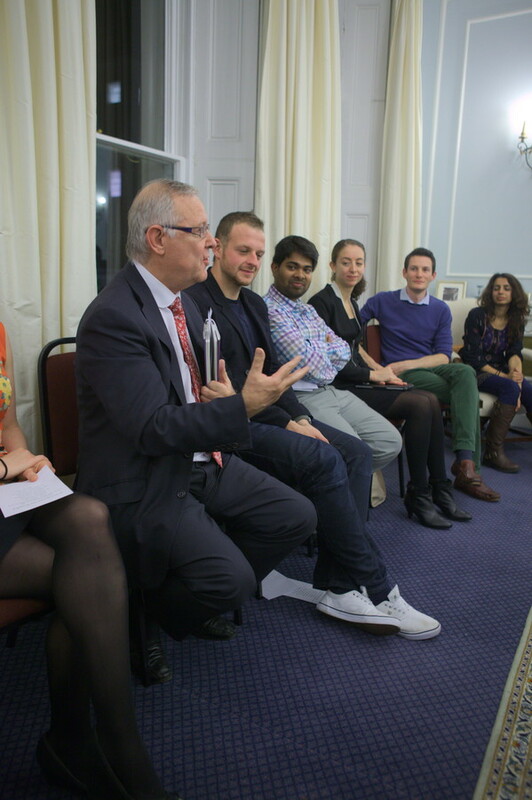 The UK Bahá’í community hosted an evening of interfaith storytelling at the National Bahá’í Centre in London on 20th November. This was one amongst a variety of contributions offered by the many faith groups who supported Interfaith Week this year. The event was supported and attended by representatives from the Department of Communities and Local Government alongside a colourful array of individual guests from the UK’s diverse religious communities. 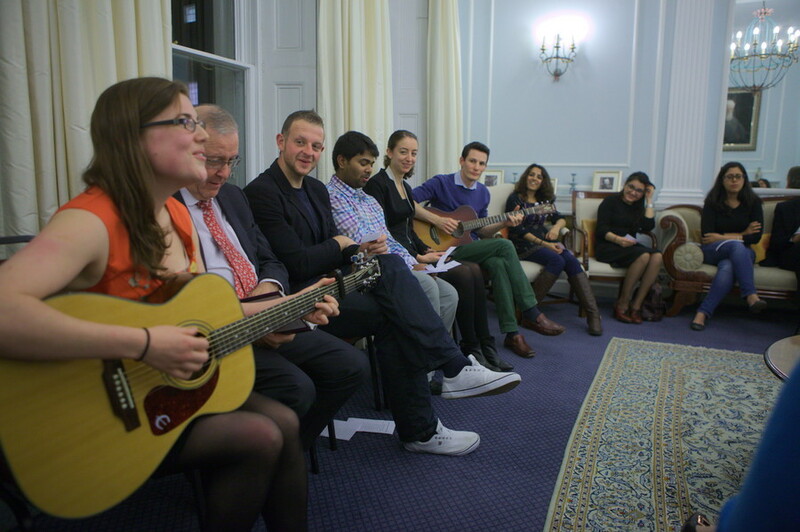 The programme included stories shared by members of the Bahá’í, Christian, Buddhist, Hindu, Muslim and Jewish communities, alongside inspirational prayers and songs. All of the stories focussed on the theme of ‘Service to Humanity’, a desire that resonated with everyone present and was reflected with increasing unity of thought and expression as the evening progressed. The stories conveyed a consciousness of the principle of the oneness of humanity as the core belief that most inspires acts of service – both in our individual lives through acts of love and kindness, as well as through the numerous opportunities for faith-based social action that can be found in Britain today. In her opening remarks Ms Rosanna Smith, a member of the Bahá’í community, expressed the view that the richness of our religious unity presented through the different stories, could be considered as different chapters of one book, or perhaps as God’s eternal story. The evening came to a close with all those gathered singing together a song about service and love for humanity, with lyrics taken from the Bahá’í writings: “When there is love, nothing is too much trouble and there is always time”. 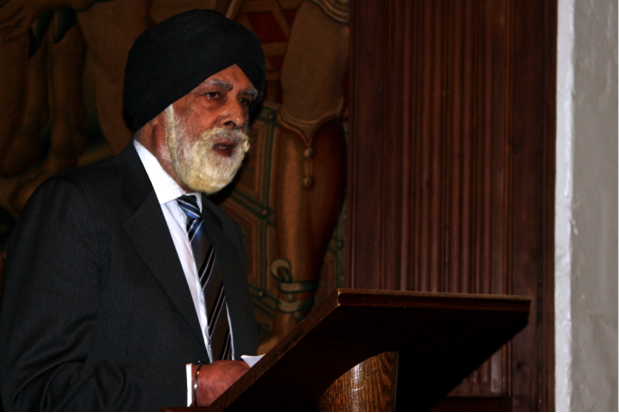 Baron Singh of Wimbledon – a prominent British Sikh and member of the House of Lords – shared some reflections from his religious tradition at a special commemorative gathering in Westminster Abbey, 27 May 2014, marking the sixth anniversary of the imprisonment of Iran’s seven Bahá’í leaders. The gathering took place in Westminster Abbey’s historic Jerusalem Chamber. Dating from the late 14th century, it is the room where committees translated the Authorized Version of the Bible in 1611, and prepared subsequent revised editions. The programme included prayers and reflections delivered by representatives of the Bahá’í, Buddhist, Christian, Hindu, Jain, Jewish, Muslim, Sikh and Zoroastrian communities. 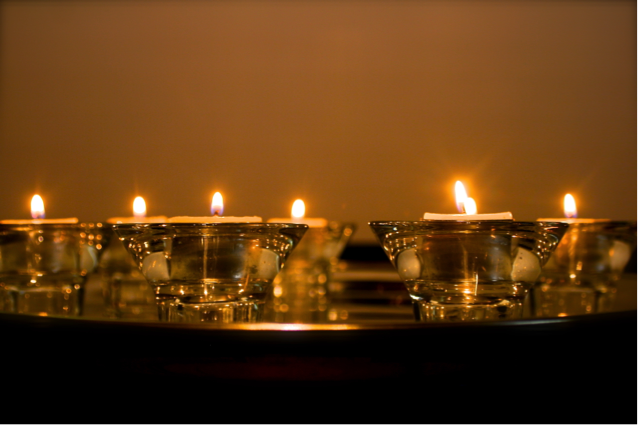 After the contributions, seven of the Faith leaders each lit a candle, representing a prisoner. Seven candles were lit by the representatives of the UK’s major religions at Westminster Abbey, each representing one of Iran’s imprisoned Bahá’í leaders. Parliamentarians, government officials, civil society actors, academics and representatives of Inter Faith groups, were also in attendance. 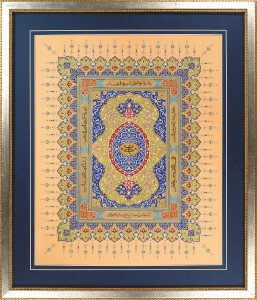 Louise Ellman MP, Chair of the All-Party Parliamentary Group on the Bahá’í Faith, said that the event was taking place “in the context of an ongoing deterioration of the human rights situation in Iran”. The Iranian government’s treatment of its Bahá’í community is the litmus test of its regard for the human rights of all its citizens, Ms. Ellmann added. Two prominent faith leaders – a Sunni Muslim and a Coptic Orthodox Christian – also offered remarks. In a video message which was screened to the gathering, Shaykh Ibrahim Mogra – who serves as an imam in Leicester – said that “no religion teaches us to treat others wrongly and oppress them … Iran has the opportunity to demonstrate to the world that Islam is indeed a religion of compassion and peace”. Shaykh Ibrahim Mogra calls for the release of imprisoned Bahá’í leaders in Iran from UK Bahá’í Community on Vimeo. Bishop Angaelos of the UK’s Coptic Orthodox Church, said that “we stand with, and pray for, the Bahá’í community, both here and around the world, and pray for the safe return of their leaders to them”. “We pray for a change of heart, a change of policy. We pray for a change of thought and understanding,” said Bishop Angaelos. 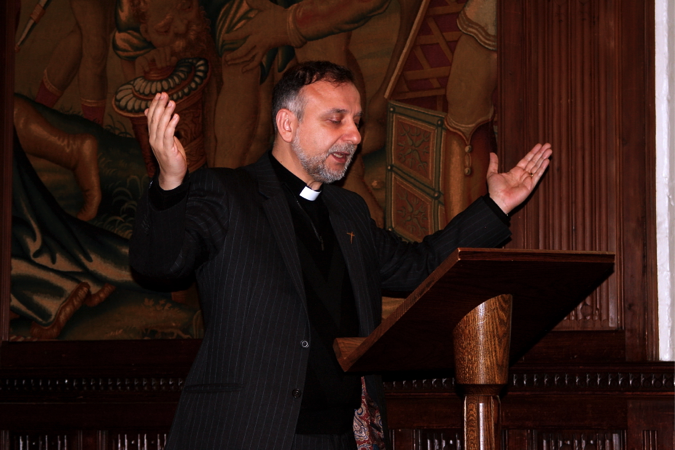 The Reverend Nadim Nassar – the only Syrian priest in the Church of England – prays for the release of Iran’s seven jailed Bahá’í leaders, Westminster Abbey, London, 27 May 2014. Reverend Nassar is the director and co-founder of the Awareness Foundation, which aims to empower Christians to be a counter force of love and peace to intolerance and aggression.